Please fill in the following information to allow us to host or transfer your hosting account to Cimetta Design’s web servers. If you’re transferring, please specify the name of your current hosting company in the section entitled “Your Web Host”, along with their host name and your ftp information so we can access your website. Only Necessary if you have a current hosted website. If email hosting is included in your website hosting package, please choose what email addresses that you'd like us to create during the Domain Hosting / Transfer Submission process. What type of addresses should you choose? If you'd like more email addresses, please give us a call at 954 - 680 - 4584. What type of addresses should you choose? The first alternate address that we normally suggest is info@YourDomain.com. This can become a good catch all address to use that multiple people within your business can have access to for general, non-pertinent business communication. Don't go crazy with a ton of addresses, but don't be afraid to get creative with it either. A Couple strategic addresses can be immensly helpful. Please specify what program/system that you current use to recieve and read email (You may select more than one). Why do we ask this? Why do we ask about your email client? Very often, email hosting is bundled together with website hosting. While there's a a chance that we're not hosting your email, if we are, it helps to know how you prefer to check your email. 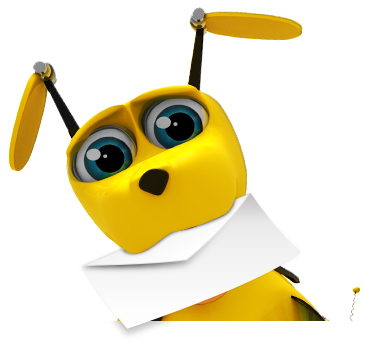 This way, when we're processing the email hosting creation/transfer, we can provide you with tailored answers and instructions that fit your situation.